If you have ticked Unreasonable Behaviour, please give 4 or 5 examples below. 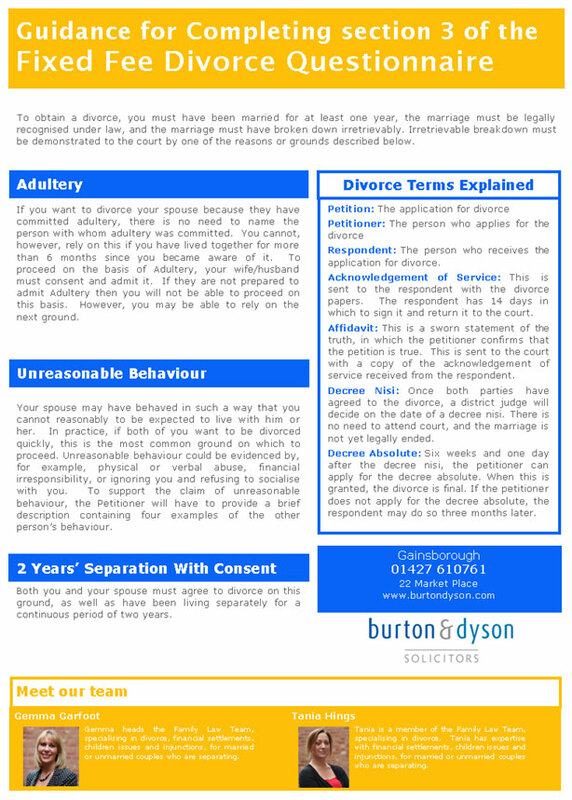 If you have ticked 2 Years Separation with Consent. Please give details of the addresses where you and your husband/wife have lived since separation, and the relevant dates that you lived at these addresses. Provide full details of all children born to either of you before, during or after the marriage and who are still living with the you. What are the contact arrangements between the child(ren) and non-resident parent? Who Will care for the child(ren) on a day to day basis ? Are there any other issues which you feel we should be aware of at this stage in your proposed divorce?